Ahead of their headline slot at Liverpool Psych Fest this weekend, Getintothis’ Gary Aster caught up for a chat with the Black Angels. It’s that time of year again. Strobes flash, colours swirl in abstract shapes projected from oil lamps and the air is heavy with exotic smells as the Camp and Furnace will soon play host to the Liverpool International Festival of Psychedelia, now in its 5th year. Always an unmissable event for ‘heads’, this year’s line-up brings some of the biggest names of the contemporary psych scene to our fair city, with one in particular standing out. 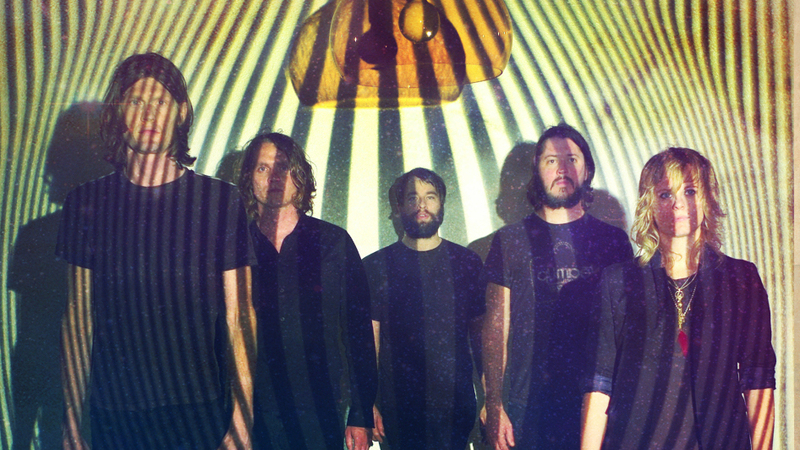 Liverpool Psych Fest is proud to welcome Texan neo garage psych revivalists the Black Angels as the Saturday headliners. As the festival website notes, “it is hard to imagine Liverpool Psych Fest existing as it does without the Black Angels”. Such has been the band’s impact in the last 12 years that this is no mere casual hype. 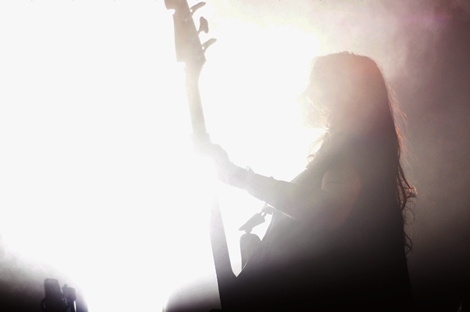 And that impact is not confined to the band’s excellent musical output. The Black Angels were instrumental in establishing the highly regarded Levitation Festival (formerly known as Austin Psych Fest) in their native Austin, Texas, which was partly what inspired the organisers of our own equivalent Liverpool event. Although various members of the Black Angels have appeared at previous Liverpool Psych Fests with other projects, this will be the first time the band as a whole have performed. Already it seems likely that it will be the most anticipated set of the weekend. 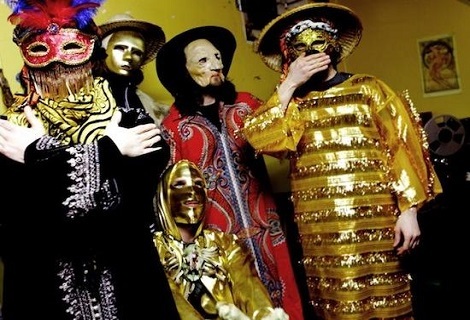 Formed back in 2004 and deriving their name from the Velvet Underground’s Black Angel’s Death Song, the band first came to my attention with an appearance on a now highly collectable compilation of contemporary psych in 2005. That same year saw the release of the band’s self-titled debut EP on Light in the Attic, an unusual move for the label which had previously been dedicated only to vinyl re-issues of obscure, vintage cult releases and a definite buzz began to circulate about them. The label proved to be a good fit for the band, connecting them with record collectors. I asked Alex (who handles bass, keyboard and vocal duties) whether the band themselves were record collectors and his answer wasn’t a surprise. “Of course we are! We just played Rough Trade on Record Store Day in London and Anton (Anton Newcombe that is, of the Brian Jonestown Massacre) spun greatest hits before we played.” Although the band’s releases are currently issued by Partisan Records, an affection and loyalty for the first label to take a chance on them remains. When I ask about recommended re-issues, Alex was quick to point to their old label, Light in the Attic – “they seem to be at the forefront of that industry”. The band’s debut of 2006 and its 2008 follow up were also published by Light in the Attic and quickly earned rave reviews and comparisons to the Jesus and Mary Chain, Spiritualized and, of course, the 13th Floor Elevators who later re-formed for a special appearance at Austin Psych Fest 2015. Indeed, there’s been a long association between the Black Angels and 13th Floor Elevators born out of more than the mere fact that both bands hail from the same town. In late 2008 they even went out on the road with the legendary Elevators front man Roky Erickson as his backing band, and Roky has made several solo appearances at Austin Psych Fests. Rumours of further collaborations persist but Alex refuses to be drawn on this. So the songs were more fully arranged before going into the studio then? I’m asking because tracks like Currency, Comanche Moon and I’d Kill for Her seem to have clear political overtones. They’re fully formed statements. You were involved in setting up Austin Psych Fest (now Levitation). 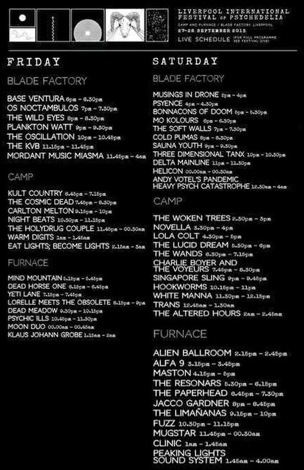 Since then Psych festivals have been appearing all over and I know the Austin event was an inspiration for our own Liverpool Psych Fest. This must make you feel proud. What are the advantages of these events for both bands and fans? Which sounds like a pretty fair summary of what happens at Liverpool Psych Fest. I have a feeling the band may be planning some surprises at this year’s festival as Alex is fairly tight-lipped about what we can expect – “I’m not sure” – but more than happy to elaborate on the spike in interest in psychedelic music and culture exemplified by the success of Liverpool Psych Fest and its overseas cousins. The Black Angels’ new album, Death Song, which treads a fine line between underground and accessible, is out now and the band headline Liverpool International Festival of Psychedelia on Saturday, September 23. Check out our Psych Fest competition below to win vinyl and merch bundle.